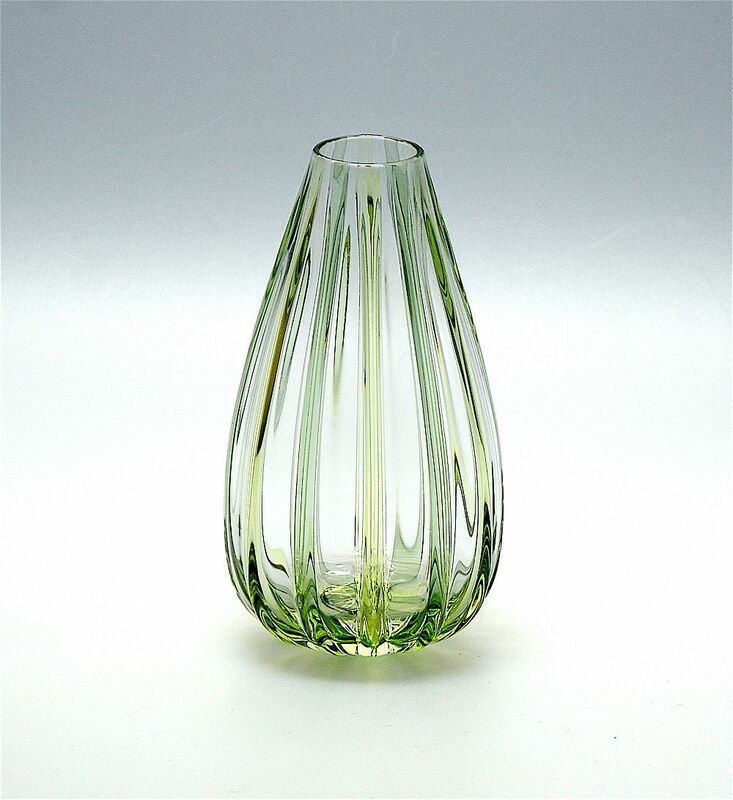 This very simple pretty vase was made by Michael Hunter for Twists Glass in 2017. Known as "Illusion Pod, it is made of clear glass with alternating pale green and pale lemon canes fused onto the exterior running from top to toe. The base is signed "M Hunter Twists 17" and has the Twists Glass studio label.